Four people have been injured in Diisah, a community in the Northern Region after some ‘warriors’ from a neighbouring community, Wasipi, allegedly burnt down the entire community. 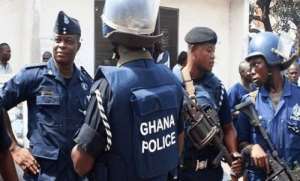 A resident of Diisah, Bavak John, told Joy News the warriors alleged to be coming from the quarters of a rival chief invaded the community Saturday evening and perpetrated crime. Joy News’ Northern Region Correspondent, Martina Bugri, reports that due a lack of medical facilities, “local residents who are into extracting bullets from peoples’ bodies” have been contacted to remove the pellets of bullets from the bodies of the four victims. The police are still in the community but are yet to speak on the conflict. A long-standing chieftaincy dispute between the Gonjas and the Tampulmas has been blamed for Saturday’s attack. The violence was triggered Saturday afternoon when some armed Gonjas suspected to be from Wasipe palace in Daboya, allegedly stormed the Tampulma territories to take royalties from a group of Fulani herdsmen living in the area. Another resident said the armed men numbering over 15 arrived in Mankarigu and begun spreading out to nearby Tampulma villages to extort monies from some local herdsmen. At Mankarigu, the armed Gonjas were allegedly overpowered, confined and later arrested when the Tampulmas resisted the move.